Cosy two bedroom apartment available for holiday rentals in a convenient location in Nueva Andalucía. Azahara II is a lovely gated complex with a communal swimming pool, stunning views of the famous La Concha mountain, and easy access to all amenities. Overlooking Aloha Golf Club and within walking distance to bars, restaurants and a supermarket, this is a great holiday base for couples, small families and golfers alike. This attractive first floor property has been recently renovated and exudes a warm and homely ambience. The living area has a contemporary open-plan layout with a modern, fully fitted kitchen, dining space for four people and a relaxing sofa area with direct terrace access. Both bedrooms offer a double bed with a chic minimalistic design. The large terrace enjoys a southeast orientation with impressive views over the community gardens, local fairways and towards the stunning La Concha mountain. This is a great choice for those looking for a fresh, comfortable and convenient holiday base from where they can make the most of the local amenities that this beautiful area on the Costa del Sol has to offer. Regarding your reservation, if you have any specific questions or needs, we please urge you to inform us prior to confirming your booking. Please bear in mind, you will be obliged to comply with the community rules during your stay. Arrangements can be made to ensure we do the very best to assist you with anything you may require! Please note that the majority of outdoor community swimming pools will be closed to the public around mid-September in Spain. This is in order to carry out maintenance checks, treatments and renovations etc.  Nordica can therefore not guarantee access to any community swimming pool from September onwards. Please contact us for further information in this respect before making a reservation during low season (15th September - 15th June). Lovely apartment, great view and beautiful clean pool.